i-MBA > Newsletter Posts > Issue 3 - February 2018 > Public Speaking Seminars Organized for the i-MBA Alumni! 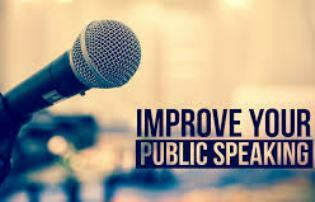 Public Speaking Seminars Organized for the i-MBA Alumni! As effective communication becomes one of the top skills to have nowadays, the i-MBA Alumni Association organized a series of public speaking seminars on 24 November and 1 December 2017, 18:00-21:30 at the Building of Postgraduate Studies of AUEB. The purpose of that initiative was to assist current students and the alumni of the i-MBA network in building confidence when they speak in public by getting feedback from some of the most acclaimed Greek public speakers and trainers. Participants prepared a short presentation which was addressed to a panel of experts during the seminar. The panel experts provided feedback on the spot and shared their advice on how to deliver better presentations and communicate ideas effectively. The series of public speaking seminars was the first of the initiatives organized by the i-MBA Alumni Association to help advance personal and professional skills of students and alumni of the program. For further information on forthcoming initiatives, stay tuned!